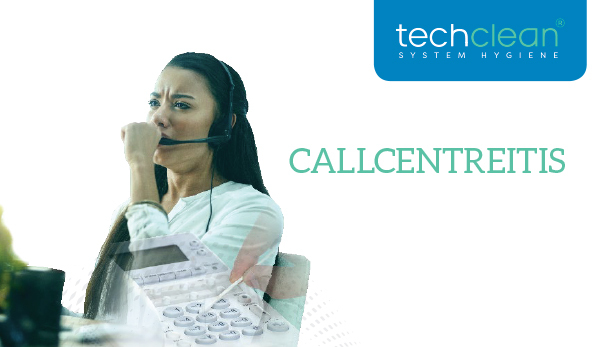 Agent absenteeism in call centres is an industry-wide problem, so you’re not alone. Stress, pressure and intensity – all are quoted as contributory factors but there is a cost-effective way to significantly reduce illness-based absenteeism – simply by improving your cleaning regime. Call centres provide the ideal environment for bugs to proliferate. Handsets, headsets and desktop IT are all model habitats for viruses and bacteria. Inhale, exhale, shift-change, touch and share… it’s hard to think of a workplace more suited to the transmission of infection. Get to grips with hygiene in your call centre and you might just gain a significant advantage. Keeping your agents fit and healthy could improve performance and reduce costs. Plus, your agents will thank you for looking out for their well-being. And that’s not to be sniffed at. Techclean. Extending the life, enhancing the performance and improving the hygiene of your organisation’s IT. Request a quote or more information from Techclean on 01530 513305.